Its another year when Greek and what I call "American" Easter are on the same day. (If you need an explaination of why they are different here you go.) 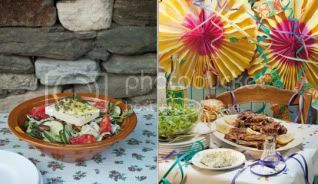 Over at Inside Source I found this post where cookbook author Tessa Kiros gives some details on how to celebrate Greek Easter. 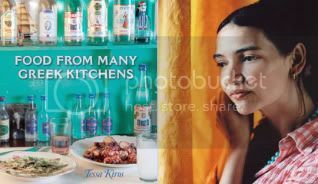 Kiros has an interesting background that makes me really interested in getting her cookbooks, including the greek one "Food from Many Greek Kitchens " which will be released in June but you can pre-order now. Her family background and life experiences are a melting pot of ethnic backgrounds which seem to have lead to her wide variety of cookbooks . All of which seem just lovely. Its definately getting me hungry for some lamb, olives and feta! Too bad the book wasn't out in time for Easter!